… and it is located in the Schulle Canyon natural area. Margaret’s Bench, located on Itsy Bitsy Trail was destroyed by vandals. The memorial bench was established in memory of Barbara Jordan, who was a long-time active member of the San Marcos community who loved the outdoors. The original bench was built with funds donated by Margaret’s friends. Kenneth Dees and Charles O’Nei did the lion’s share of the repair work that is hoped to withstand future attempts at destruction. The bench is located in a shady area near a large bois d’arc and several chinaberry trees. 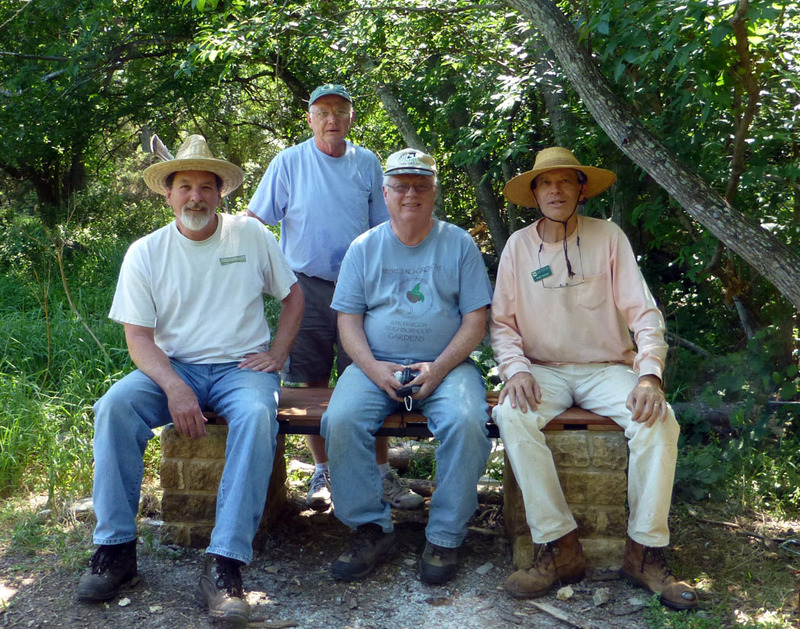 Schulle Canyon is a quiet, small preserve that is listed on the Heart of Texas -East bird watching trail. 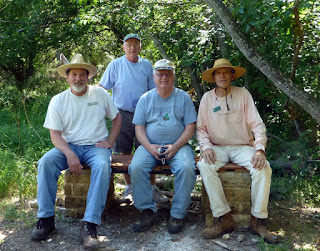 Paul Murray, Kenneth Dees, Charles O’Neil and Todd Derkacz. If you witness vandals call 9-1-1 and tell them it is in progress. Take photos with your smartphone camera if possible.